Momordica Charantia, or bitter melon, karela, korila, and some other names. 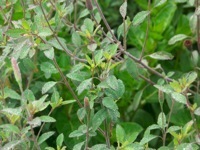 The plants require lots of warmth to grow, but are easy and prolific. The plants are best grown on strings in the greenhouse, and require similar conditions to cucumbers. M.charantia is the non-spiny species, there are some (smaller-fruited) spiny species (especially M. cochinchinensis). Bitter melon has lots of varieties, from small 10 cms ones to large 30 cm fruits. Bitter melon has indeed a bitter taste (where does the melon come from?) and is especially used in Asian kitchens. The small fruits are preferred, they are softer and more tender. The fruits are boiled and added to all kinds o f dishes The young leaves are also eaten, boiled, as a sort of spinach substitute. Very useful small plants, members of the brassicaceae family. 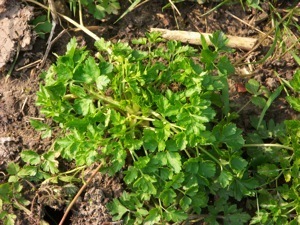 Barbarea verna (upland cress) was grown a lot more in older days, it produces some very good-tasting leaves in early spring, sometimes even during mild winters. The leaves have a distinct cress flavour. Another interesting one is barbarea vulgaris, who stand even more harsh winter circumstances, but these plants run to seed in early spring. The closed flowerheads are also very useful, they are a tasty broccoli alternative. They are very easy to grow (if you don’t have any soil diseases related to brassicas), and produce a small but nice crop. No need to introduce this wonderful herb, I think. Again, lots of varieties, lots of tastes, smells. Touching the plants releases a very fine scent. Most of them are easy to grow, although they do require warmth, water and food. Most basil varieties are happier in the greenhouse over here. 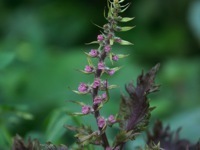 There are also perennial varieties, ocimum selloi, oc. sanctum, oc.gratissimum. I do prefer the classic Italian pesto varieties (Genovese, ...) . 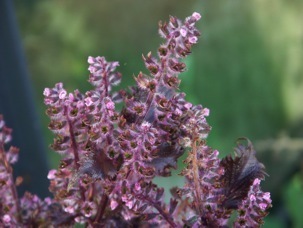 Some varieties have purple or even reddish leaves. 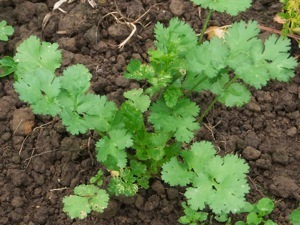 A nice and wild parsley alternative, leaves can be produced during mild winters. 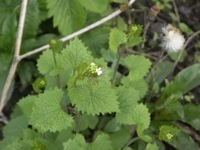 Once you have the plants, they will establish themselves in a wild garden, without beeing too invasive. Leaves are eaten as a condiment, seeds taste like a perfumed alternative for nutmeg. The seeds are only a few mm. long, so are the flowers. Not really something for a big field, but it adds up to the diversity of plants and food, and the leaves are wothwile, especially during winter and spring. Well, I could write a book on these , they actually originate in South America , and were already seen on the first journeys from Europe to the ‘New World’. 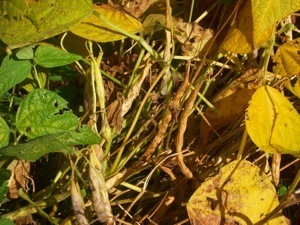 Lots of shapes , uses and colours can be found , there are beans ( Phaseolus vulgaris)with fully round seeds, long seeds, multi-coloured seeds,... The pods can be long and thin, striped, thick, flat, round, and so on.... Some varieties are only grown for their nice-tasting pods, some other varieties are grown for their seed production, who are used mainly during wintertime. 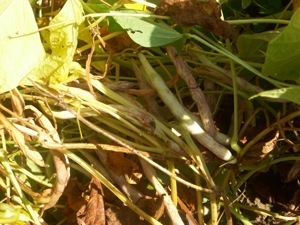 Very special beans are nunas (popping beans), beans that really pop (similar to ‘pop’corn) when you fry them. Unfortunately these are daylength-sensitive, and they are very hard to grow in my climate. These beans do have wonderful colours and are grown a lot in Peru and other South American countries. Beets (beta vulgaris)used to be a maincrop in Europe. Only the sugar beets remain in the fields, and they belong to the big sugar industry, sadly enough.